Work on a towel to avoid that inadvertantly a decal sticks to the working table. Cut the decal sheet into sections. Soak one section in tap water for 5 to 10 seconds. Lay it to rest on the towel until completely uncurled (about one minute). Slide the design from the backing paper onto a chosen surface and gently wipe over surface with a fine paintbrush to eliminate any trapped air bubble. On uneven surfaces, use warm to hot water to soften the decal. 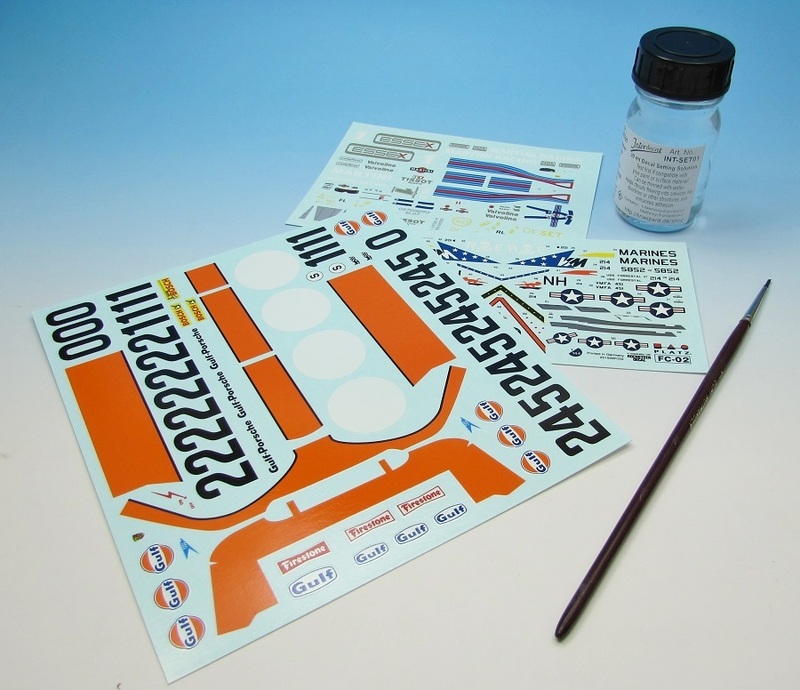 Soak up excess fluids with a tissue paper and carefully apply pressure to your Decal with it. to soften the decal even more and enhance adhesion. Setting solution can also be thinned with water to weaken its effect should it be to strong for your needs. Allow the decal to dry completely. It is possible, if prefered, to varnish the model after the decals have been placed. Depending on the varnish used, it is recommended to test for any unwanted effect.